60 Lukie Points will be rewarded to you when you buy this. The greatest legend in gaming! The ultimate Zelda collection! Play the game that launched the legend! 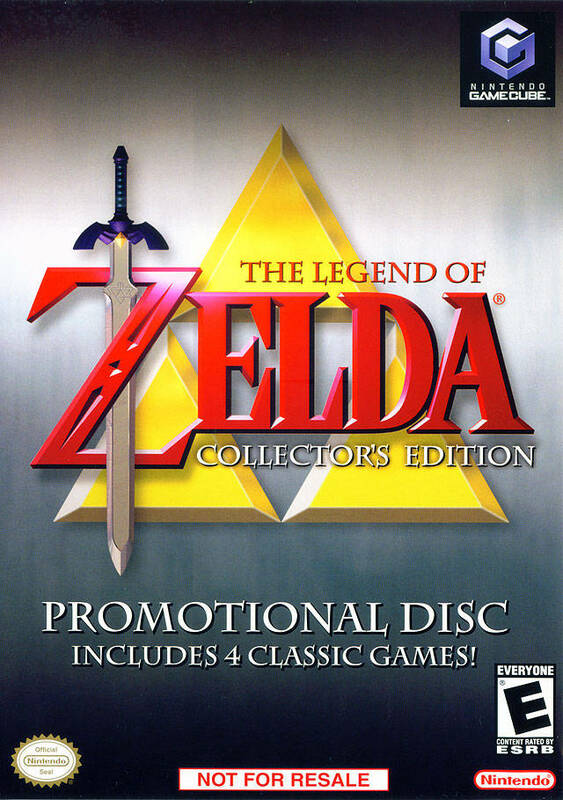 Embark on a quest to find the Triforce, slay Ganon and save Princess Zelda in the timeless adventure game from Shigeru Miyamoto that revolutionized the action RPG genre. With an innovative and unique game-play system, remarkably deep puzzle solving, and an epic score, the appeal of this groundbreaking classic is still going strong. While adhering to the majestic and puzzle-solving elements of the Legend of Zelda, the second game in the series expands on the action sequences and introduces a new magic system, pushing the series in a new direction. Link sets out on a quest to stop Ganondorf, King of the Gerudo, from obtaining the Triforce, a sacred relic that grants the wishes of its holder. Link travels through time and navigates various dungeons to awaken sages who have the power to seal Ganondorf. Music plays an important role—to progress in the game as the player must learn to play and perform several songs on an ocarina. Thrown into a parallel world by the mischievous actions of a possessed Skull Kid, Link finds a land in grave danger. The dark power of a relic called Majora's Mask has wreaked havoc on the citizens of Termina, but their most urgent problem is a suicidal moon crashing toward the world. Link has only 72 hours to find a way to stop its descent. My wife loves it , plays it all the time she is 79 years old ! We have bought a lot of things from Lukie and are very happy with what we nave bought ! Bought this game for my girlfriend and she absolutely loves it! She plays it any chance she gets. It has her all time favorite copy of zelda on it. Brightens my day seeing her smile as she plays. Works perfectly. Must-have for any Zelda fan. Bought this purely for Majora's Mask and it really is a great game. Super great game! It has Legend of Zelda, Legend of Zelda 2, Ocarina of Time, and Majora's Mask. The first one I received didn't actually work in my console, so they sent me another one super quickly. 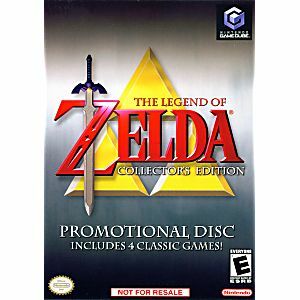 you cant find a better deal than this.Its a must have if your a die hard zelda fan! bought this for my girlfriend for christmas. Works great! lots of bonus material and runs smooth. Everything's great! A few streaks on the case and the front side of the disk, but the back side looks brand new, it was a great buy! Awesome purchase! The game arrived on time and in top shape. Works and runs like it's brand new out of the box. You wont find this particular game anywhere else in such good condition for such a great price. Highly recommend snagging this while it's still here. Lukie games is a reliable company and not to mention a great company to buy from. awesome collection of Zelda games, really enjoying the ocarina of time and looking forward to playing the older versions too! Bought this game for my kids who really wanted it for Christmas. Works fine no issues with the disk or play at all. This was my first ever purchase from Lukie Games. I was a little hectic at first because I wasn't sure if it was a phony website or not. It definitely is NOT a phony site. I purchased this game and a week later I received it. Unfortunately, the game did not work. But, fortunately, Lukie games has an awesome customer support team and I was able to return the game for free and get another in exchange. All the shipping was taken care of, I didn't have to pay a dime. It took about a few weeks for the game to be exchanged and another shipped to me but the game I have now works totally fine and my boyfriend loves it. Hope this review helps.